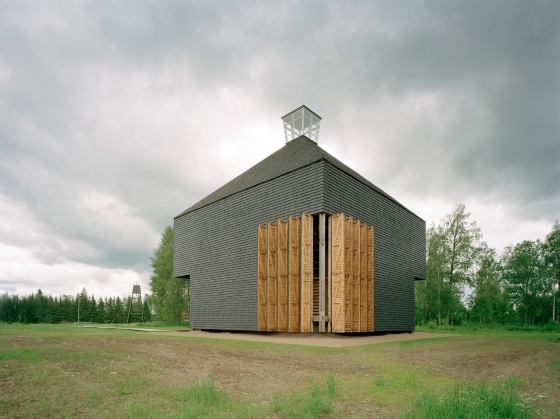 Kärsämäki Shingle Church by Lassila Hirvilammi Architects | Church architecture / community.. 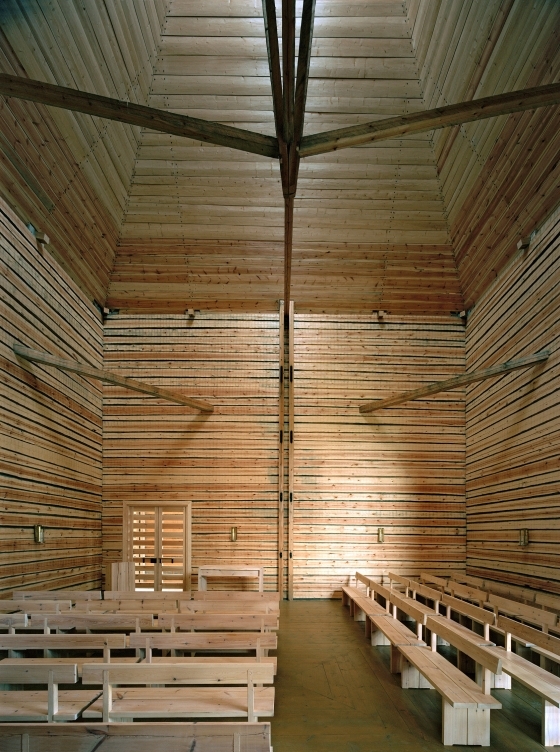 The first church in the parish of Kärsämäki was completed in 1765. 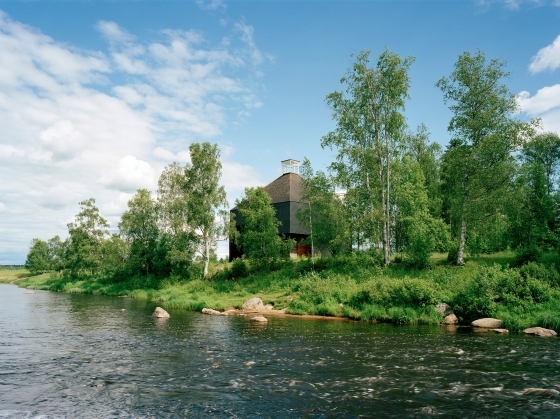 A beautiful site on the riverbank was chosen as a suitable spot for the church. The church later became too small for the congregation and as it was already dilapidated, it was demolished 1841. 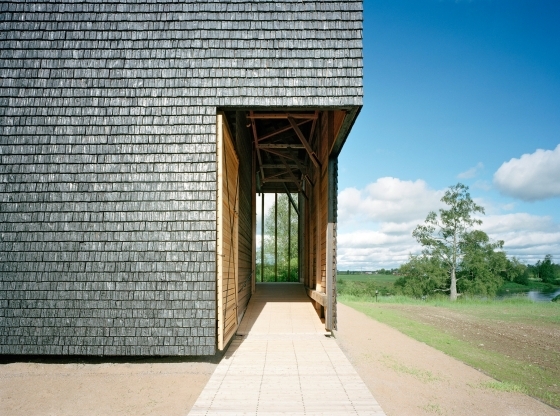 There were no original documents on the old church, when the project began, so it was decided that the new church would be modern but hand-built using 18th century methods. 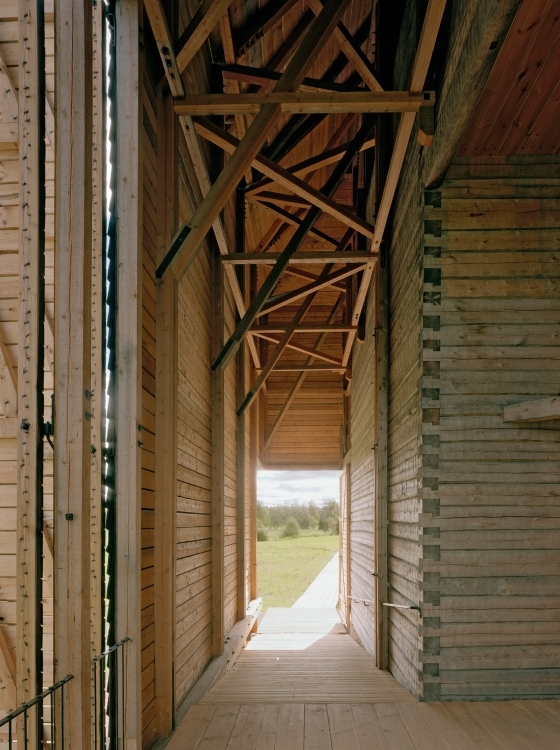 A competition was arranged in 1999 at the University of Oulu’s Department of Architecture. My Master’s thesis is based on developing the winning entry. The church is now under construction and should be completed in 2004. The church is built where the old church is assumed to have stood, in the middle of fields, by a river. The final, timeless design of the church is typological. 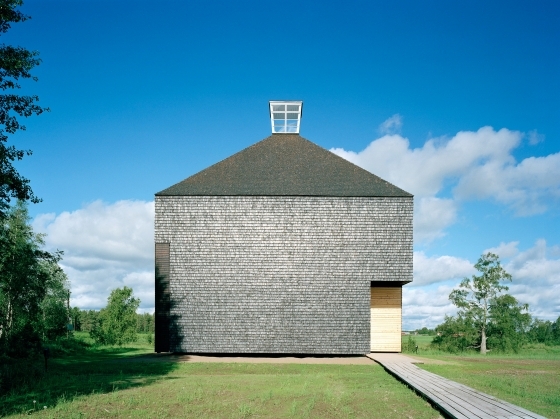 Its shape adjusts well to the surrounding building stock, yet stands out thanks to the clarity of its form. 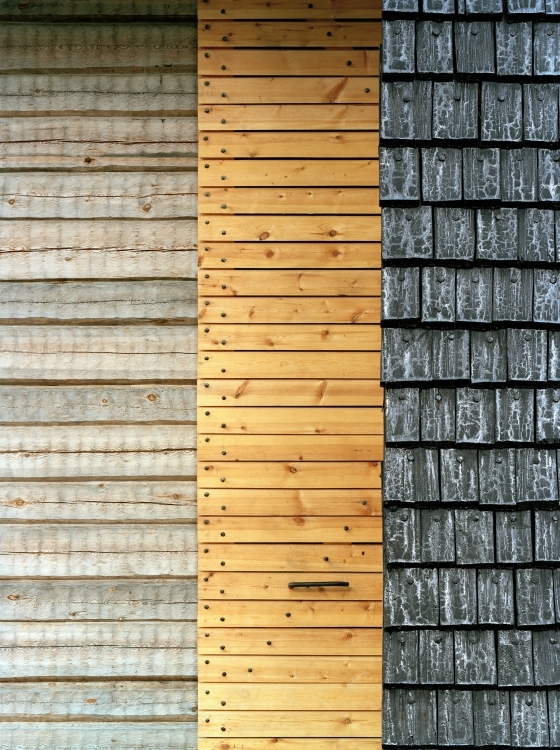 The basic concept is simple both structurally and functionally. 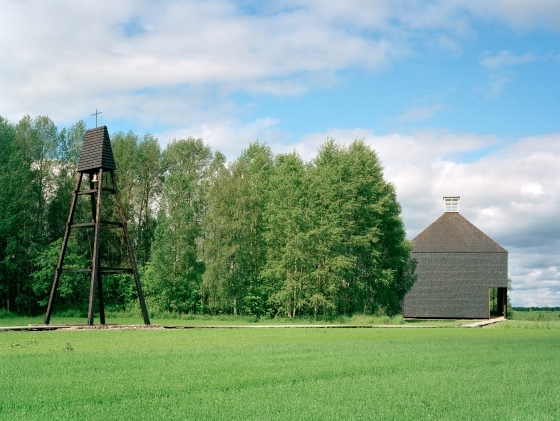 The simple forms owe something both to vernacular wooden churches and bell towers as well as pared-down contemporary architecture. 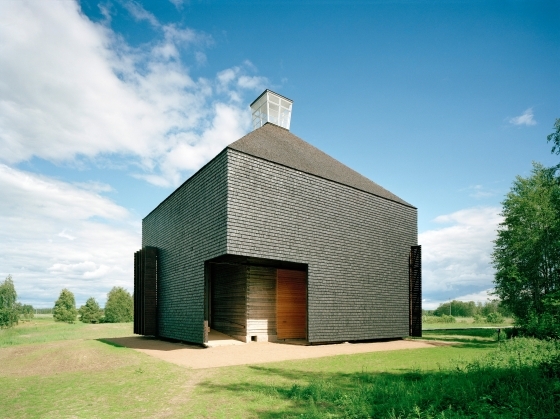 The idea of a modern church built using traditional methods at first seemed not only novel but also problematic, but finally proved enriching to the project. The spirit and appearance of the building is inimitable. 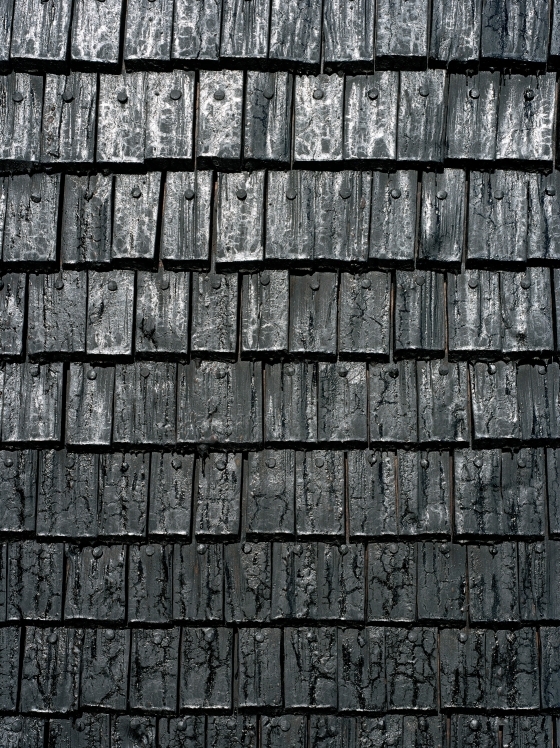 The building comprises two parts: the “core” is built of logs and the “cloak” of shingles tarred black on the outside. The solution sought to combine simple, archaic atmosphere and optimal weather resistance. 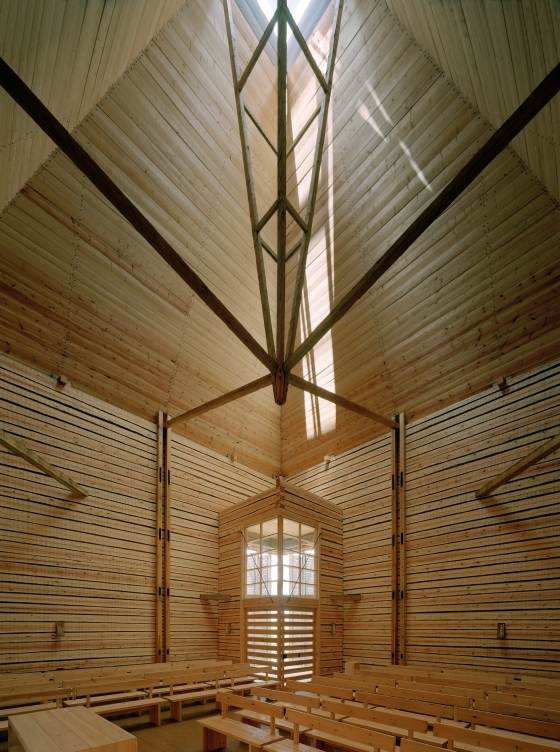 Between the shingle envelope and the log core there remains the service spaces: the vestibule, vestry, and storage rooms. Visitors are lead through a dimly lit space to a light church interior lit from above by lanterns. 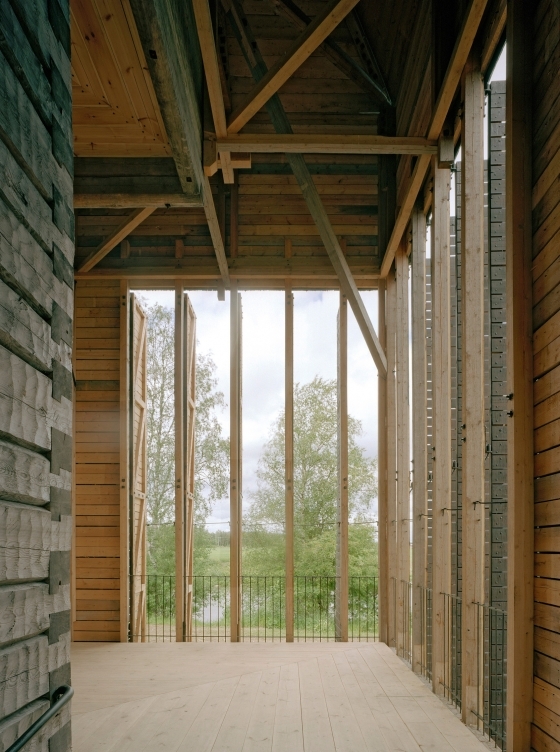 The building is visually calm, offering a silent haven. When it is dark, the church will be lit by glass lanterns and candles. The pews will not be fixed to allow for a flexible use of space and the altar can also be moved. 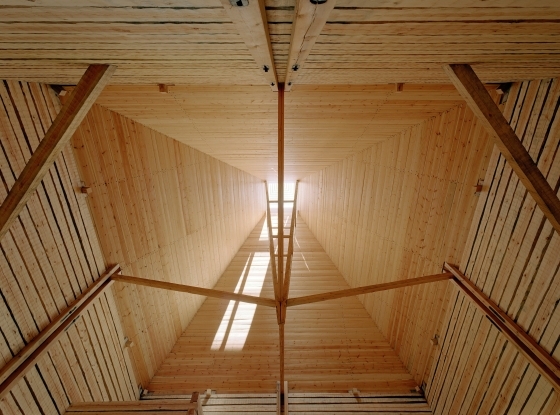 Although the church will be small in size, the exceptional building method means that the background research and learning traditional building, as well as inventing some novel solutions, is quite a large undertaking.